The struggle is real. 5pm strikes, you’ve got to head straight out from the office, whilst attempting to look like you’ve actually spent time getting ready. It’s a tough slog and I know you need a sturdy makeup routine that you can trust. But desk to dancefloor doesn’t have to be taxing. Tried and tested by yours truly, here’re four of my favourite ways to ensure your makeup lasts the full shift, until the early hours. You’ve definitely heard this one before, but believe me when I say: it’s a crime not to prime! Dry skin is the worst for sucking up your makeup, oily skin is the worst for making it slip away. 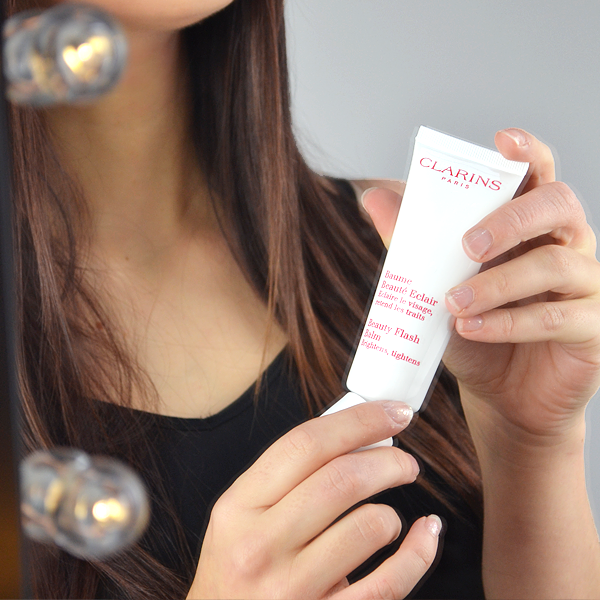 Create the perfect, smooth and even canvas with the Clarins Beauty Flash Balm. It’s not just an incredible makeup base; its skincare savvy properties are ideal for ensuring your makeup can keep up with your dance moves. And when you’re suffering the day after, slather it on in a thick layer as a mask to get your glow back. 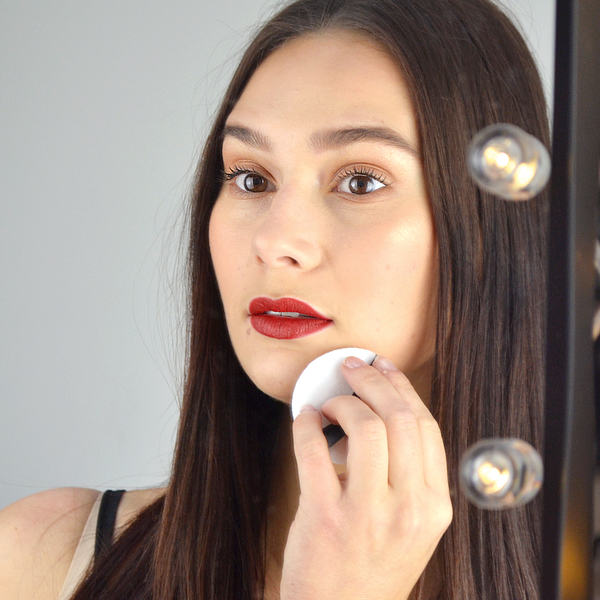 Powdering is an essential step in making your makeup last longer! What I love about the Vichy Dermablend Setting Powder is that it adds an additional 16 hours wear to your makeup look, with added water resistance. Translucent in colour, the Vichy Dermablend Setting Powder blends beautifully into any skin type – it’s my holy grail for creating a long lasting makeup look. My favourite way to differentiate my evening look is with a liner, both lips and eye. It just empowers your current look with an added edge, without too much effort. For added drama, line your waterline with a black/brown line. 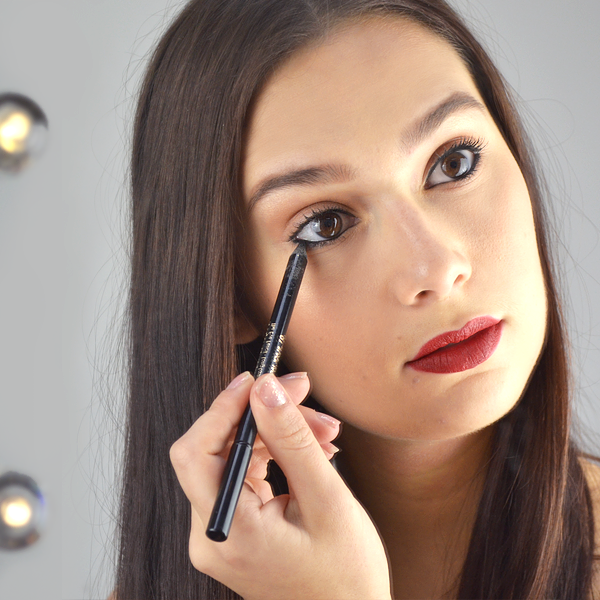 I adore the Guerlain Eye Pencil in 01 Black Jack, which lasts all night. For a mistletoe-worthy pout, prime and line your lips with a darker neutral liner (read more about lip liners here). 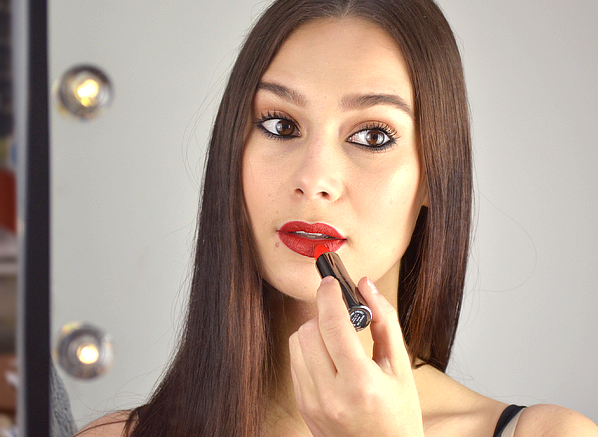 I love the Givenchy Rouge Interdit Lip Liner in 09 Lip Brown, it goes with every lipstick colour to create subtle definition! 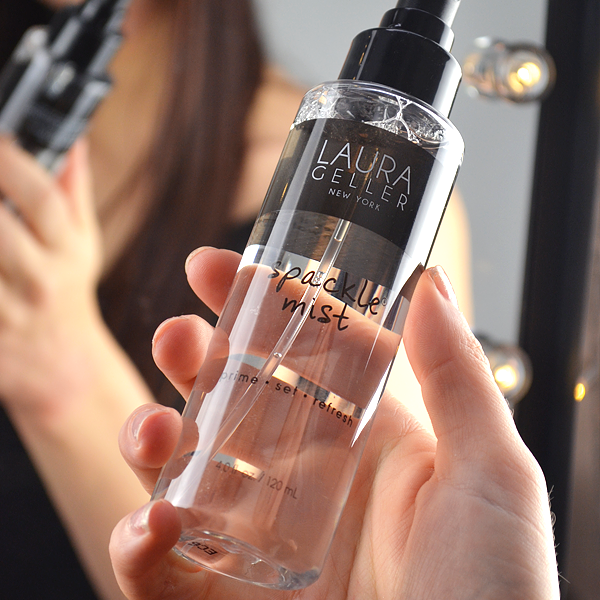 Designed to lock everything in place, the Laura Geller Spackle Mist setting spray is the final step in prolonging your makeup. It’s pretty multi-purpose, as this magical mist can also be used to keep your skin topped up with moisture without any silicones and oils. Use as the final step in your makeup routine to seal in your desired look for longer. TOP TIP: Spray your eyeshadow brush with the Spackle Mist before application to boost the pigment of your favourite colour. How do you make sure your makeup lasts longest? Tweet us or comment below – we’d love to hear your tips! This product is fantastic if you don`t like using regular powder. You sweep across the face with a brush is settles your foundation. It`s great, has no colour and it`s very easy to use. I would recommend it. This entry was posted on Friday, December 9th, 2016 at 12:06 pm and is filed under Christmas, Get the Look, Hints & Tips, Make-up, Tried & Tested. You can follow any responses to this entry through the RSS 2.0 feed. You can skip to the end and leave a response. Pinging is currently not allowed.